Rob Henson provides aggressive and professional representation for individuals accused of crimes. Mr. Henson attended law school at the University of Tulsa College of Law. During law school, Mr. Henson worked as a judicial intern for the Honorable Dana L. Kuehn, one of the criminal law judges in Tulsa County, Oklahoma. Since graduating from law school, he has focused his practice on Oklahoma criminal defense. One of the most important things you need to ask an attorney you are thinking about hiring is how many clients does he or she currently represent? 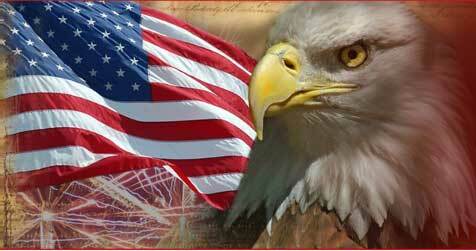 There are some private criminal defense attorneys who have 75 or more clients at a time. Even Public Defenders do not represent that many clients at one time! How can a criminal defense attorney provide you with personal attention and effective representation if he or she is trying to represent 75 or more clients at one time? Would you rather hire a criminal defense attorney who is working with 75 or more clients or would you rather hire a criminal defense attorney who is working with just 15-20 clients? Mr. Henson generally does not have more than 15-20 clients at one time. This allows him to devote his time and attention to your case. He believes that by limiting the number of clients that he accepts, he is able to provide you with better representation and give you the higher, more personalized level of service that you DESERVE, than if he had a high-volume practice with 75 or more clients at one time. 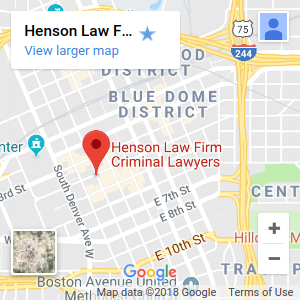 Mr. Henson is different from other Oklahoma criminal defense attorneys. He is committed to you and he will give YOUR case the individual attention it requires. You are not just a DEFENDANT to Mr. Henson, you are a person who deserves individualized attention. So, if you have been accused of a crime, do not place your freedom and your future in the hands of some overworked lawyer who neither cares about you nor has time for your case. Beginning with the FREE initial consultation until the final resolution of your case, Mr. Henson will fight for your rights, your future, and your freedom with passion, intensity, and professionalism. 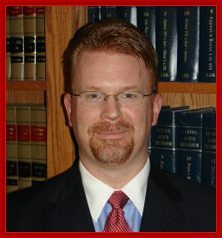 Professional Memberships : Tulsa County Bar Association, Oklahoma Bar Association Criminal Law Section, former member of Hudson-Hall-Wheaton American Inns of Court, National Association of Criminal Defense Lawyers, Board of Directors Oklahoma Criminal Defense Lawyer’s Association, National Trial Lawyers Top 100 Trial Lawyers. Published Works : “Inoculated Against Recovery: A Comparative Analysis of Vaccine Injury Compensation in the United States and Great Britain.” Tulsa Journal of Comparative & International Law, Vol. 15, p. 61. Education : University of Tulsa, Juris Doctor; University of Arkansas, B.S. Business Administration. Honors : Recipient CALI Award for Excellence : Legal Writing II, CALI Award for Excellence : Trial Practice; Articles Editor for Tulsa Journal of Comparative & International Law, Phi Delta Phi Legal Honors Fraternity. Bar Admission : All Oklahoma State Courts, Federal Northern District of Oklahoma, Federal Eastern District of Oklahoma, Federal Western District of Oklahoma.